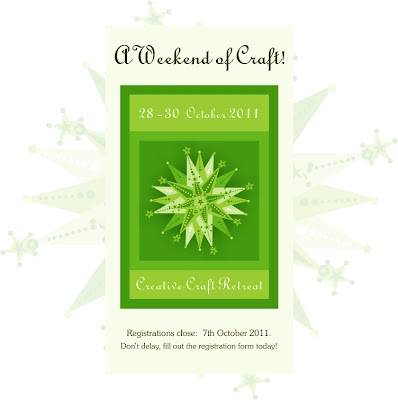 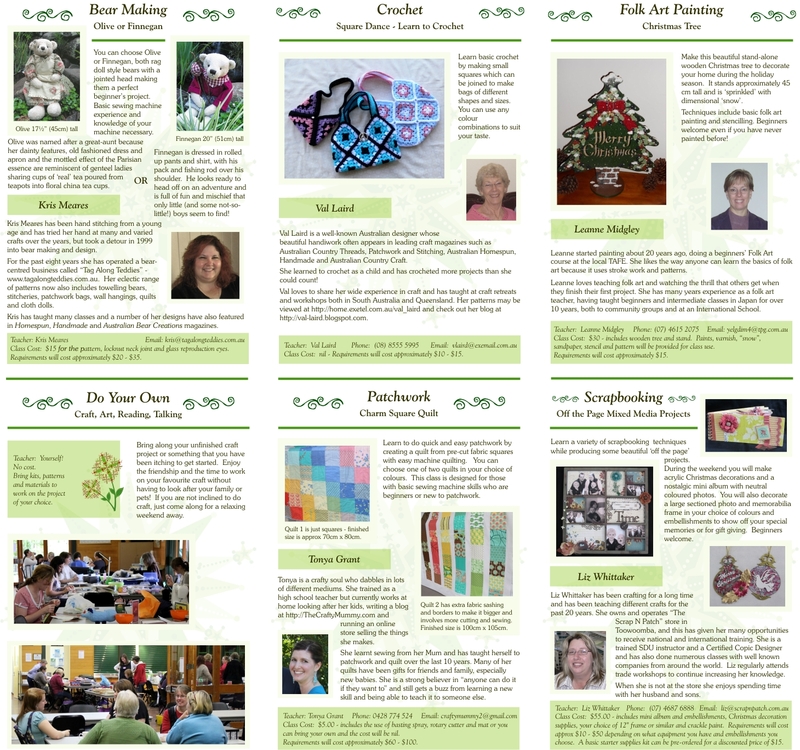 Creative Craft Retreat: 2011 Craft Retreat Registration Form! 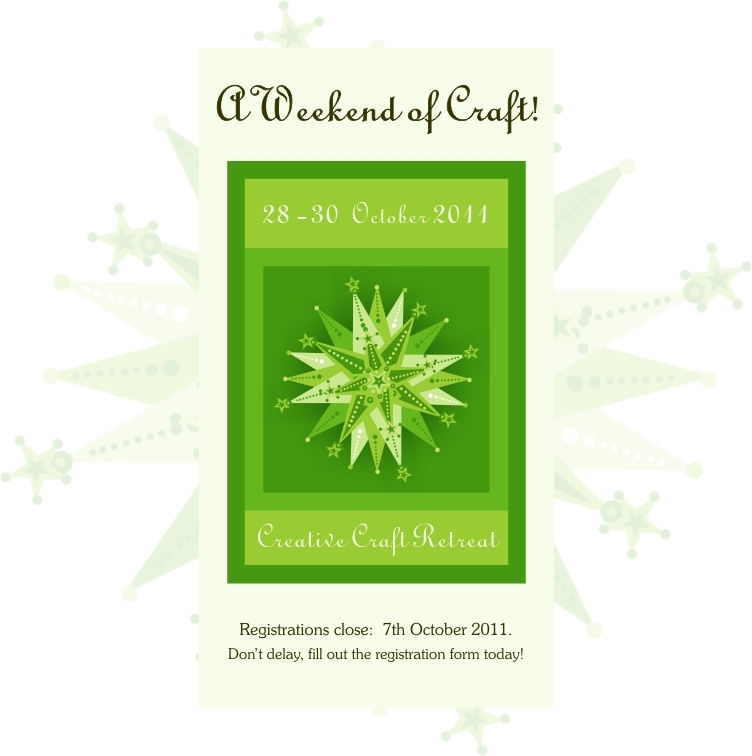 2011 Craft Retreat Registration Form! 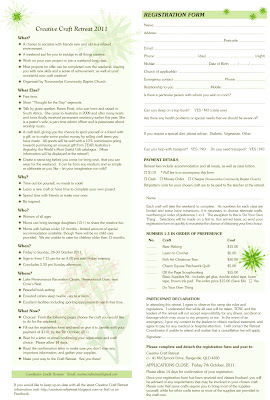 If you want to print out a registration form from the picture, click the picture and choose print from your browser menu (or right click the picture). 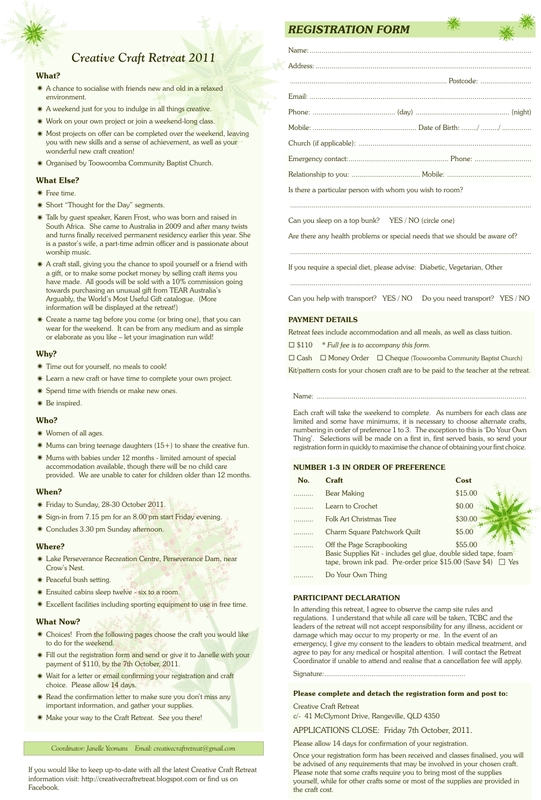 Choose print preview to check the form will fit on one page, and if not, choose the shrink to fit option.